If You Need to Reschedule Your Appointment, Just Call! Making a dentist’s appointment shouldn’t be a hassle. You should be able to call your dentist, arrange a time and date that is convenient for you, and then get the dental care you need for you and your family. But life sometimes gets in the way. Things happen at the last minute that can’t be predicted. So the dental appointment that you may have made weeks or even months ago maybe isn’t that convenient anymore. If that’s the case, all you need to do is call and reschedule your appointment. In many instances, you may not have to wait several more weeks to get in to see your dentist. You may get an appointment much, much sooner. Dental office schedules are very fluid documents. Everybody has a lot going on in their lives. So dental appointments are constantly in flux. It’s not just your life that is complicated. Most people periodically have to make changes to their dental appointment schedules. So when you need to make a new appointment time and date, it’s entirely possible — even likely in some cases — that you can take an appointment slot that another patient wasn’t able to make. Most dental offices are used to these kinds of last minute changes. Our office schedulers are accustomed to the constant changes to our daily dental schedules. While we can’t guarantee that you can get an appointment right away when you need to make a change, we can tell you that the sooner you call with your change request, the more likely you are to get the convenient time and date you want. Let us know as early as possible if you need to make a change to your dental appointment time. 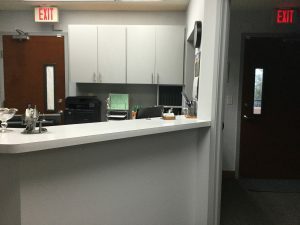 Our friendly and helpful office staff will try to accommodate you as much as possible.